The Czech Republic’s Nikola Ogrodníková came second in the women’s javelin at the World Athletics Championships in Berlin on Friday night, securing a first medal for the Czech team. Ogrodníková, who is 27, was beaten by Christin Hussong of Germany; her best throw 67.90 meters was six centimeters longer than the Czech’s. 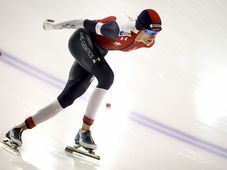 Anežka Drahotová secured another silver for the Czech team in the 20-kilometer speedwalking race on Saturday, finishing 30 seconds behind María Pérez of Spain.